Child identity theft is a real thing and it is happening everyday. A red flag should be going off if you receive something in the mail that is intended for an adult with your child's name on it. This more times than not means your child has been the victim of identity theft. Even worse, someone close to the child is committing the crime. Even though this is all a scary thought, there are steps you can take to protect your child's identity and future credit. Children are easy targets for thieves since they are not using their credit. In most cases of adult identity theft, you are looking at someone fraudulently using someone else’s bank account, credit card or some other existing accounts. A very small percentage actually involves opening a new account. You can pretty much expect the opposite with children. New accounts tend to be the most common type of identity theft. More times than not, their Social Security Number (SSN) will be used illegally. To make matters worse, identity thieves can take the SSN and put it with a fake name and birth date, essentially creating a new identity. This type of crime is known as “synthetic identity theft” and is actually not so easy to detect. More times than not, you may not find out this has happened until the child has reached 18 and they are trying to establish credit. Their credit report is pulled and it has someone else's name on it with a laundry list of credit items. As terrible a crime as this is, a law was passed in May 2018, called the Economic Growth, Regulatory Relief, and Consumer Protection Act, This act helps address the issue of synthetic identity theft. Although not full proof, it requires the Social Security Administration (SSA) to create a new database that banks will use to check any customer’s name, date of birth, and SSN when they apply for a new account. The only negative is that it does not require the bank to check this info before opening an account. These organized criminals will steal a child's SSN with the goal of getting money. They will use the SSN to create a fake identity and attempt to build up credit with it. Once they have created a good credit score, they go and rack up all the debt they can and ditch the fake identity. This leaves the victim with damaged credit. Undocumented immigrants will try and use stolen SSNs with their own name and date of birth, so they can try and look like U.S. citizens. With their new ID, they can go out and apply for jobs and file tax returns. If a parent is struggling with their credit rating, they sometimes will turn to their kids’ clean credit histories. They may set up their utility bills in their child’s name instead of their own. When it comes to friends or other acquaintances, if you use a babysitter that may have access to personal info, they may go ahead and use the info for the same reasons. Inevitably the child winds up with a strained credit history and poor credit. Parents know all the forms that come home school. This can be a hotbed for sharing personal info. Keep a look out for terms like "opt-out", "personally identifiable information" and "directory information". After school programs that are offered at the school but sponsored by an outside company, should be of note for you. These programs could have websites where your child's picture and name may be listed. Be sure to inquire about the privacy policies and find out how they plan on using your child's information as well as who it will be shared with. If your school experiences a data breach, your school should notify you. If they don't, and you feel your kid's info may have been compromised, get in touch with the school. Talk with admins about the breach and what their practices are. Write a letter to the school board if you have to. Your child is not approved for government benefits, such as Medicaid, because benefits are already being paid out to another account with child’s SSN. A notice is received from the IRS saying your child owes income taxes. You get a credit card bill with your child’s name. A debt collector calls saying your child owes money. Receiving a notice that your child has unpaid traffic tickets. Your child is summoned for jury duty. You receive an offer for a pre-approved credit card addressed to your child. This one is a maybe. Sometimes these are sent out at random and they could have come across your child's name from a bank account or college fund. Now if you start receiving numerous offers, then you need to start digging. 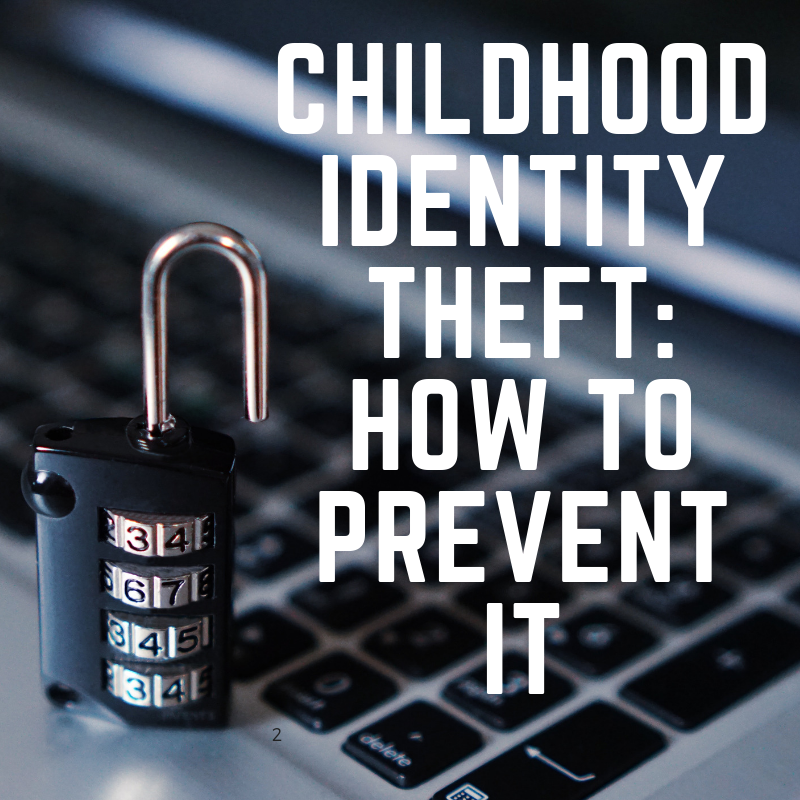 With child identity theft on the rise, here are the steps the FTC and other experts recommend to keep your kids safe. Children typically do not have a credit report in their name. One would only be generated if someone has applied for credit. Contact the three credit bureaus – Equifax, Experian, and TransUnion – and request a manual search of your child’s file. They can check for just the SSN number too. You will need to provide proof of identity so make sure to have your child’s birth certificate and Social Security card, your own driver’s license or other legal ID, and proof of address. Bonus tip: Even without any red flags, it is a good idea to check your child's credit when they turn 16. By doing this, if there is an issue, you can report the fraud and have time to correct it before they really need to start using their credit. Also note that if you opted your child out of receiving pre-approved credit card offers, a credit file will be opened in their name. You are unable to delete the file but you can request that they put a freeze on their credit. You are not required to share your child's SSN. If asked for it, just list the last 4 digits. If they insist on the full number, find out why they need it and how they go about protecting this sensitive information. Use a safe or a locked cabinet. Shred up any important documents you no longer need. Do not carry your child's SSN card or passport around. Check your credit right away if burglars get into your home. Also keep in mind that if your computer or laptop is taken, they can access any files that are not password protected. If you carry any personal documents..beware.
. This can occur anywhere from your child’s school to the doctor’s office. Pretty much anywhere that houses personal information. Take it seriously if you get notified of one. Beware of any relatives who are going through financial troubles. If you have them at your house, just make sure your important documents are properly stored away. Since your kids will not be applying for credit any time soon, consider freezing their credit reports. This will ensure that thieves can’t use their names to borrow money. The process is a little lengthy but worth it. Go to the three bureau websites ( Equifax, Experian, and TransUnion) and they have a complete list of the required documents, along with the address to mail them to. Now this will not protect them 100%. Thieves can still use your child’s SSN to obtain medical care, apply for government benefits, get a job, or file taxes. Do not share your name and number online or if someone calls the house like a credit card company. Use a fake name when setting up any logins with websites. Also, now with the advent of social media, older kids need to be weary of how they conduct themselves online and how this can affect their credit. If your kids know their SSN, be sure to tell them how to safeguard it. Number one being never to enter it online! Anyone can fall prey to scams online and kids even more so. Talk to them about phishing and other common Internet and email scams so they know what to look out for. Also stress the importance of creating strong passwords and the difference between a secure site and an unsecure site. After the initial shock goes away, it is time to take action. Contact the three credit bureaus, as mentioned above. If your child has one in their name, check for any fake accounts. File an Identity Theft Report by going to IdentityTheft.gov or calling 877-ID-THEFT. If someone used your child’s SSN to file taxes, report that crime separately using the IRS Identity Theft Affidavit (Form 14039). Contact any accounts in your child's name. Let them know the account is fake and that you want the account closed. In addition, request that they send you a letter of confirmation that you will not be liable for any charges applied to the account. After that, send the company a follow-up letter with copies of your child’s birth certificate and the Identity Theft Report. Keep ongoing notes on who you have contacted and the status with each. Follow the instructions for getting fraudulent accounts removed from your child’s credit report. Keep in mind each bureau has its own procedures. Once you have the fake accounts removed, set up a credit freeze to ensure the thieves can’t open any new ones. Under federal law, parents have the authority to freeze their child's credit report if they are under the age of 16 for free. Teenagers 16 and older can freeze their own credit. As parents, our job is to protect our kids from any harm. Identity theft is a crime that is not at the forefront of most parents' minds but it should be. It is a real threat and can wreak havoc for years to come. Being vigilant about safeguarding your kid's personal information while they’re young will help ensure their credit stays in good standing. In addition, teaching them about online security and privacy as well as how to keep their own personal information safe will help them develop good habits as they grow older.